Learning to appreciate the little things brings greater enjoyment at every stage in life. Seniors should also learn to savor those special moments that make life amazing. Here are a few simple strategies they should incorporate into the day for overall happiness. Focusing on negativity increases the chances of developing depression and isolation. Seniors can make it a goal to show other people appreciation for the little things they do. From handing a gold star sticker to the person who bags their groceries to giving verbal praise to the receptionist at the hospital, seniors can do a lot to demonstrate gratitude to the people who make their day better. 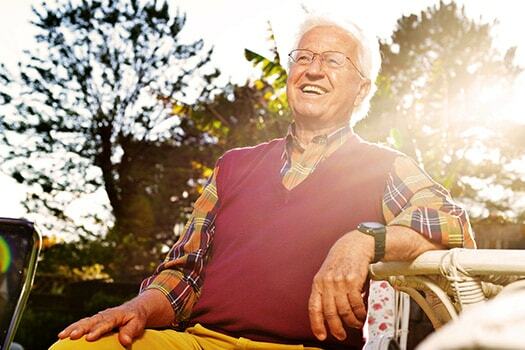 A positive attitude can boost emotional wellbeing and enhance quality of life in the golden years. If your elderly loved one needs help maintaining a high quality of life while aging in place, reach out to Home Care Assistance, a trusted provider of Rhode Island home care. Services our caregivers provide include transportation to and from medical appointments and social events, nutritious meal preparation, assistance with daily exercise, and help with everyday tasks like bathing, grooming, and light housekeeping. When seniors allow their minds to run wild, they often miss out on the simple things that happen each day. For this reason, it is always good for seniors to work on honing the ability to focus. Concentrating on the way a hand massage feels or enjoying the sound of water running in the bath allows seniors to gain a deeper appreciation of everyday things. Nature is full of special moments that seem small at first glance, yet doing things such as watching the sunrise allows seniors to appreciate the wondrous beauty around them. Taking time to stop and smell the roses or spending a second to watch squirrels scamper are simple things seniors can enjoy. Ideally, seniors should go outside each day, and caregivers play a big role in helping them. When searching for reliable Rhode Island home care agencies, families want to know their senior loved one will be well taken care of. At Home Care Assistance, our expertly trained caregivers are available around the clock to assist with tasks around the house, provide transportation to medical appointments and social events, and much more. The senior years are sometimes full of negative news about someone else’s health or a recent loss. Seniors can avoid negative thoughts by simply starting a journal in which they document good things that come their way. They can also read through their journals later to remember things that made them happy. Whether they are writing or reading, focusing on gratitude gives seniors instant happiness during hard days. Seeing the world through the eyes of a child instantly reminds seniors of what really matters. From savoring the bite of the first warm cookie that comes out of the oven to giggling at a silly joke, children are wonderful at showing seniors how to soak up every special moment. If your senior loved one is facing age-related challenges and needs motivation to stay positive, consider hiring a compassionate caregiver. Whether your elderly loved one needs part-time assistance with basic household chores or you need a break from your caregiving duties, the Rhode Island respite care experts at Home Care Assistance are here to help. All of our respite care services are backed with a 100% satisfaction guarantee, there are no hidden fees in our contracts, and we never ask our clients to sign long-term contracts. For more information and to schedule a free consultation, call (401) 284-0979 today. How Is Dating Different in the Golden Years?